The Battle of Franklin Tournament took place in Franklin, TN from Sept 14th to the 16th, and while the players had a great time - they still needed MORE pickleball before going home. And where is a great place to play pickleball that's almost on the way home? Why that's easy! 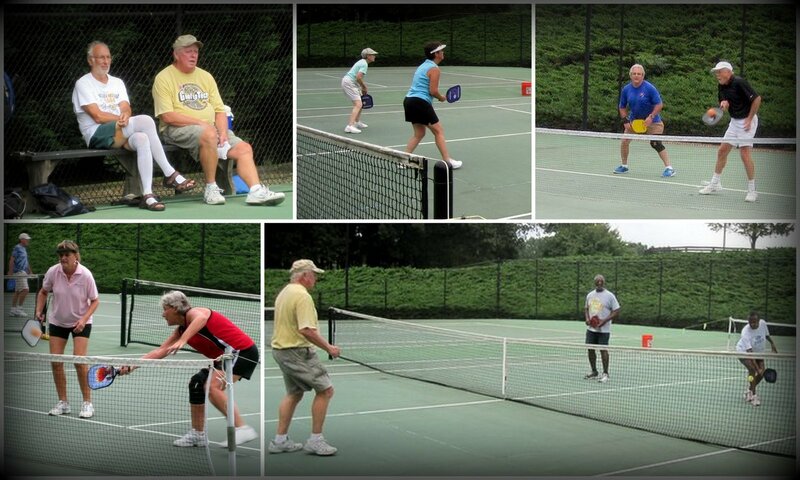 With Tom and Ann Earley and the rest of the North Georgia Pickleball Club. On Sunday evening, a few of the Louisiana crew showed up, played a little pickleball and stayed the night....that was Marty (top right photo, blue shirt) and Prissy Martin, ambassadors from Morgan City, LA and Sharon Richard, ambassador from Rayne, LA. They stuck around to play on Monday morning and joined a few more players Florida players who just happened to stop and play - that would be Gail Brown and Diane Reynolds (bottom left -red shirt) from Sebring, Fl.